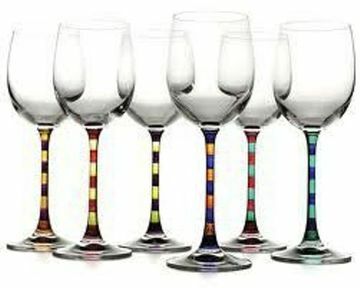 Hand painted wine glasses have created a frenzy in the shops and command a price tag of up to£30 each! Join us in this new craze and create your own personalised, unique set of glasses at this exclusive event. It’s easy and incredibly therapeutic! 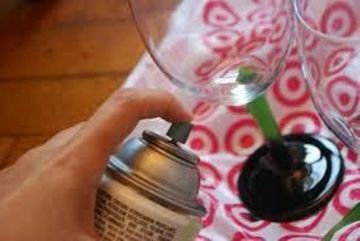 During your 2 hour painting class, you’ll enjoy a guided wine tasting of 4 fine artisan wines. While waiting for your completed your masterpieces to dry, you will enjoy a colourful and artistically presented 6 course meal at one of London’s leading secret supper clubs. Join us to celebrate the art of wine and food! 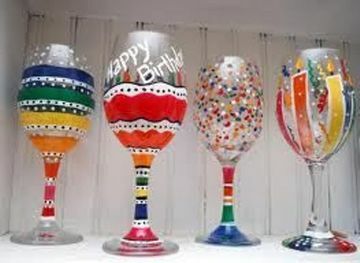 The Glasses make excellent birthday and wedding presents – perfect for Christmas too!!! Location: The venue is the chef’s Home, it is not a public restaurant. The Supper Club is located minutes from the City – near Old Street and Angel Tube. It is also close to various bus routes. Due to the secret nature of secret supper clubs, the address is sent in the payment confirmation email. Note on Quality of Wine: Wines served will be rare artesian wines, many will cost around £40-60 per bottle on a restaurants wine list. I have tried to keep the cost low, however, as this is an artistic tasting I thought it best to serve fine wines, which you may not be able to taste any where else! Note on price: I understand this is a lot of money, especially if you’re new to the group. Please phone me if you have any questions. 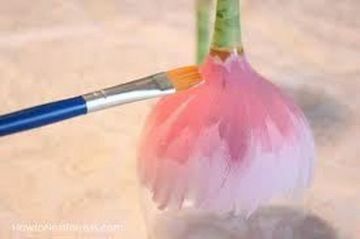 Note on creativity/artistic ability: No art skills are required. 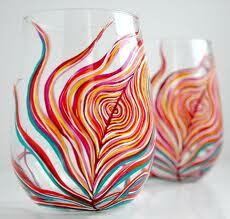 I have purchased stencils for the glasses and even the most shaky hands can produce beautiful hand painted glasses. Note on food: The ingredients are as far as possible locally sourced: fish comes from Steve Hatt, meat from McKenna Meat and most of the fruit and veggies from the stalls at Chapel Market. The main course is a choice of Marinated Cod or Poussin (baby Chicken) Please state if you have any diet restrictions when booking and your request will be accommodated. 7:30 – Presentation on Food Art & Dinner begins. 10:00 – Dinner ends – coffee and petit fours served. Guest can either stay or leave. This entry was posted in Events and tagged london, secret supper clubs, wine tasting on 3 September, 2012 by adminfw.